We proudly offer a 10% off military discount for all veterans, active duty military personnel and family members. 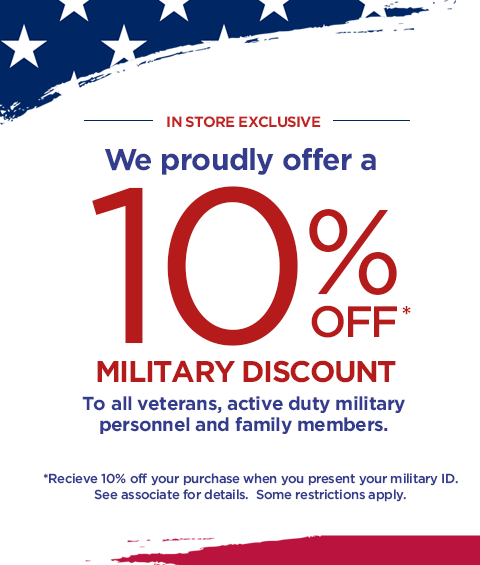 Receive 10% off your purchase when you present your military ID. See associate for details. Some restrictions apply. 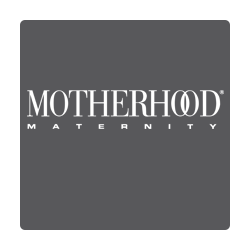 Destination Maternity (Pea in the Pod & Motherhood Maternity) is the world’s largest designer and retailer of maternity apparel, plus nursing accessories & baby gifts. What do we mean by ready-to-wear? We mean the one-hit-wonder, the dinner date to Sunday brunch, the throw-on-and-go, the wear-to-work and then weekend must… it’s the maternity dress that complements your new curves, no matter what style you prefer. From your baby shower look to a sundress, having at least one of our best maternity dresses in your arsenal is a wise move. Everyone knows their bellies get bigger when pregnant, and it’s no surprise breasts do too. Some women welcome this change, while others find it hard to navigate their new curves. We pride ourselves on creating soft, stretchy, and yet supportive maternity bras that are crafted with nursing functionality built in. We dare you to find a style you don’t love, because we have full coverage, sleep bras, demi bras, t-shirt bras, and sports bras.